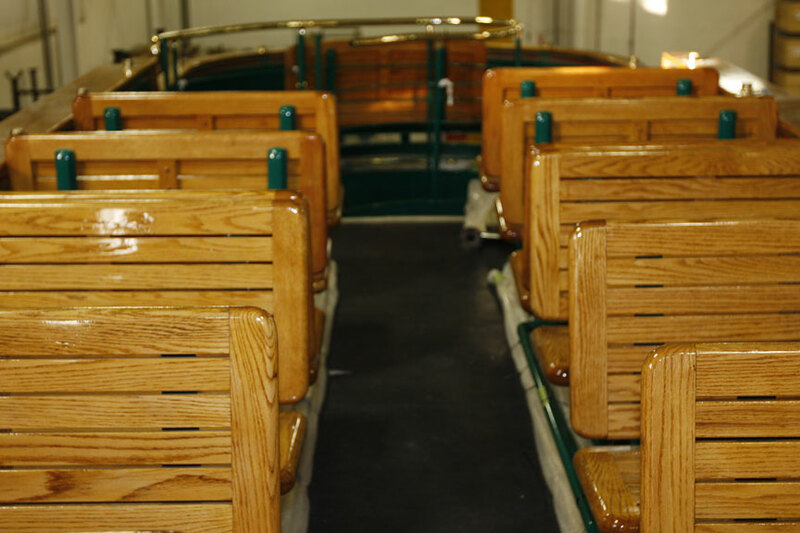 Gomaco Trolley Company can provide you with trolley manufacturing and engineering consultation on the restoration or renovation of existing trolley cars, along with the manufacturing of new trolley cars. 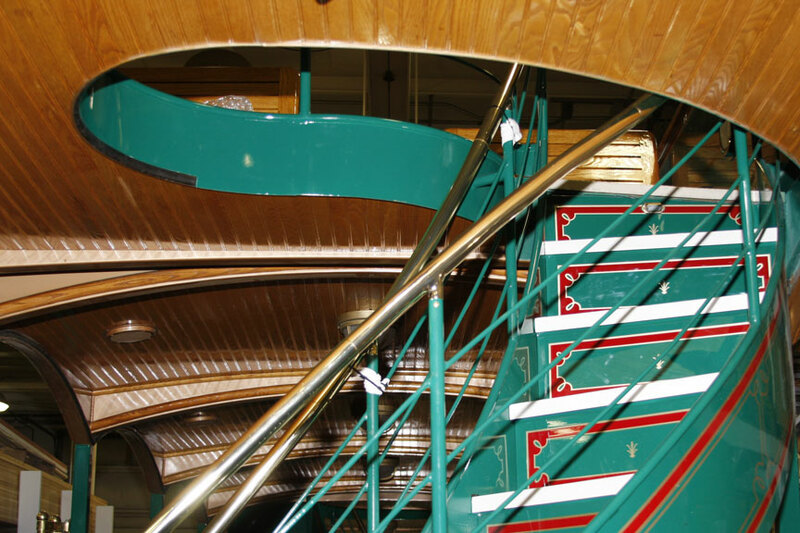 A double-decker trolley with two spiral staircases has been carrying passengers in Los Angeles, California, since 2002. The trolley is not based on any particular prototype, but was created to move people easily within a large outdoor shopping area. The car runs an average of eight to 10 hours a day, seven days a week. 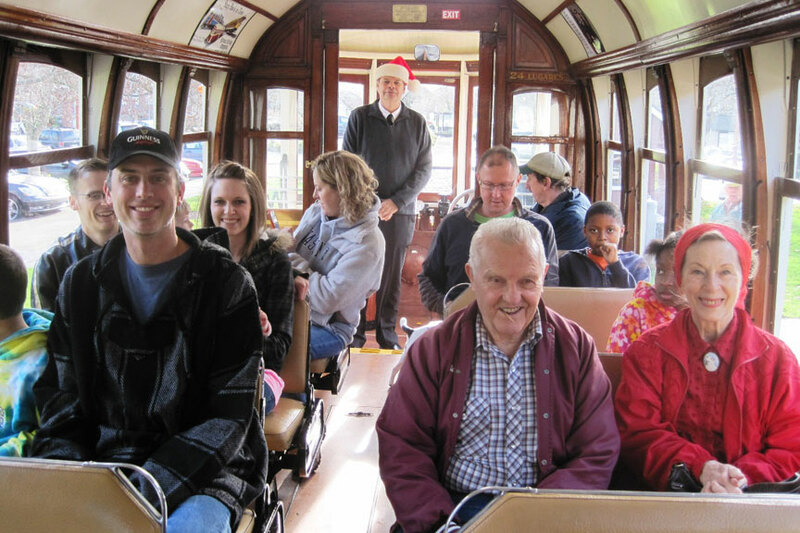 It is estimated the trolley carries approximately 730,000 passengers each year. 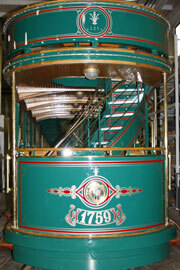 The high-volume of passengers and long working hours were taking its toll on the trolley, named #1759. Its owner contacted Gomaco Trolley Company about refurbishing it. 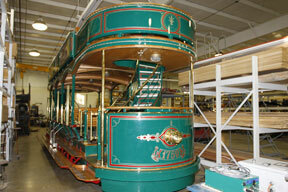 It was transported to Ida Grove, Iowa, Gomaco Trolley’s home, and put through an intense refurbishing program. The program included: total repainting, refinishing all of the original woodwork, installing new flooring and steps, building new brass handrails, rewiring the controls and replacing the controller with the same Gomaco K35G controller as the car in Glendale, California, and repowering the PCC trucks with the appropriate traction motors. 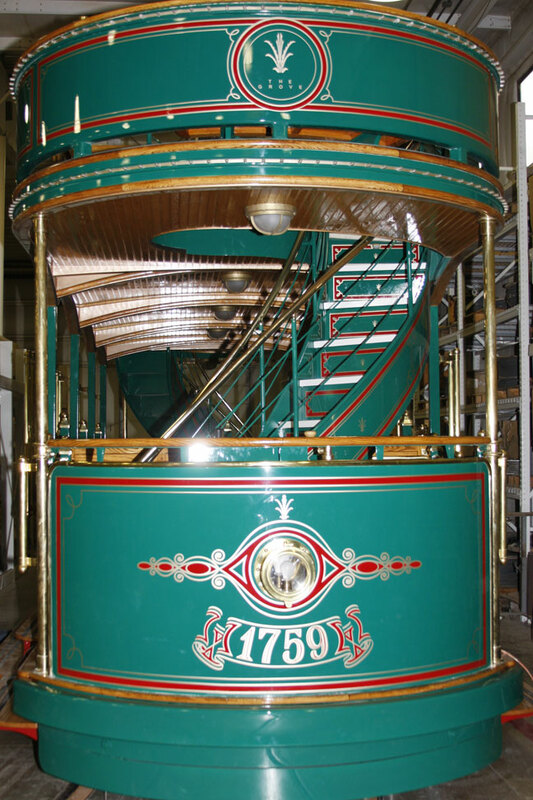 Car #1759 is once again a glossy and beautiful trolley car carrying passengers at its home in Los Angeles, California. Lisbon Trolley #519 is a J.G. Brill car from 1925. It was used in Lisbon, Portugal, until 1978, and then in Aspen, Colorado. 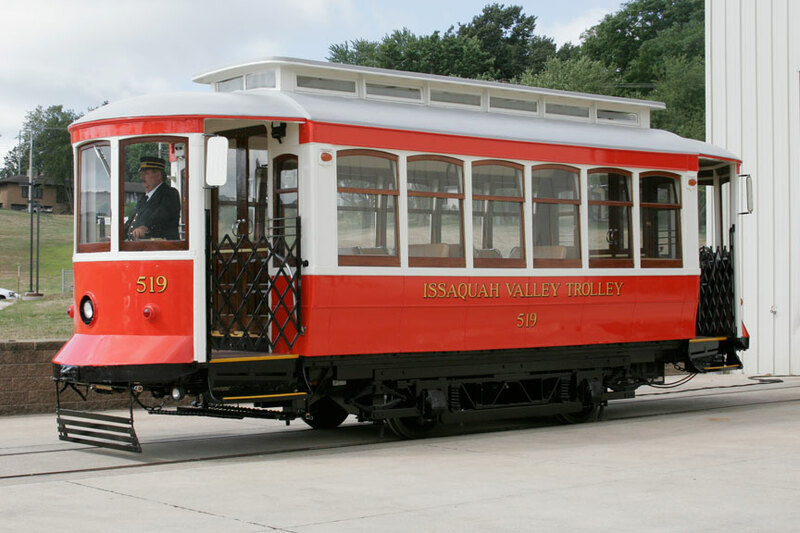 The Issaquah Valley Trolley Project acquired it in 2003, and the crew at Gomaco Trolley Company completed an extensive restoration in 2012. The truck width was converted from narrow gauge to standard gauge. A second operator's station was added to allow operation from both ends. The cracks in the roof and frame were repaired, and the floor was replaced. A fiberglass coating was applied to the roof and clerestory roof to seal it from the elements. All of the seats were reconditioned, and new oak window frames with safety glass were installed. 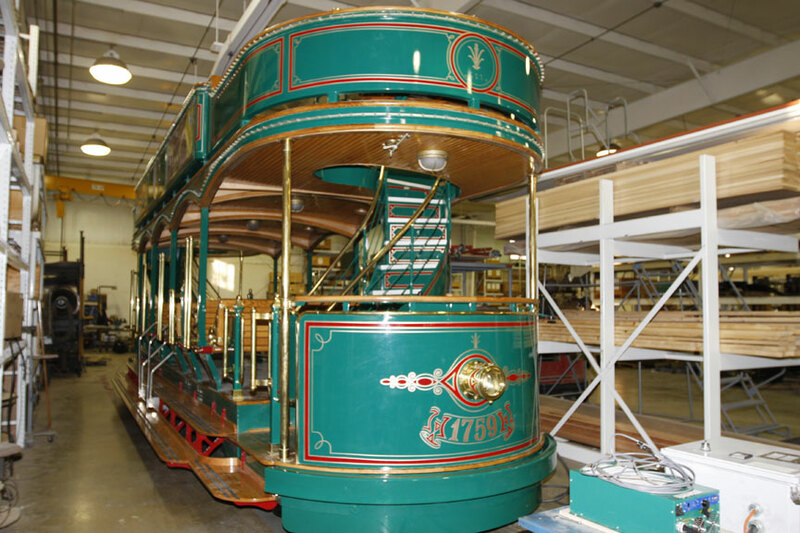 Trolley technicians repaired any non-working electrical items, and gave it a new paint job. 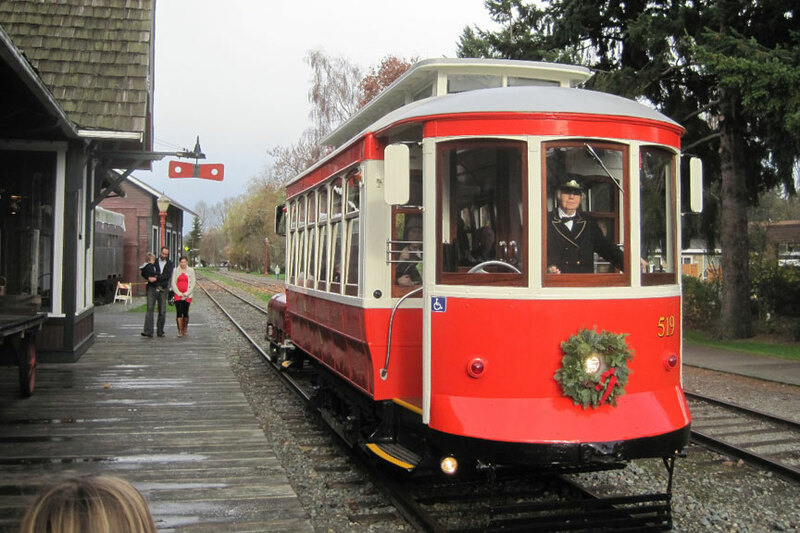 The trolley returned to Washington in August 2012, and had its debut during the Issaquah History Museum's Holiday Open House on December 1. 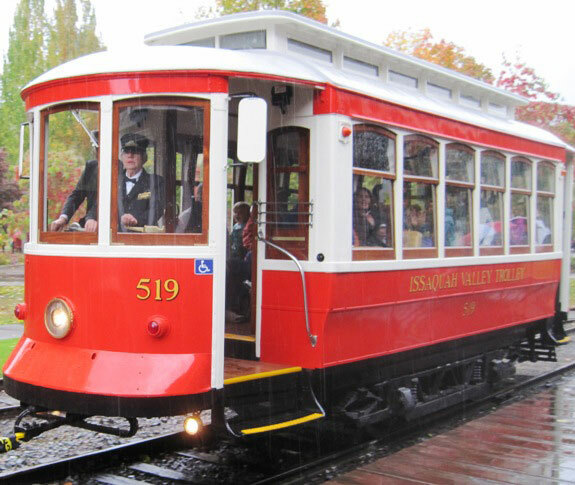 The group started regular trolley service in downtown Issaquah in 2013.